Rep. Barbara Comstock Pays Far-Right “News” Site to Post Positive Stories About Her. Sad! You may recall the reporting here last year when the Northam campaign stated the the GOP was “creating their own Pravda” by funding a propaganda “news” site called The Republican Standard, which was devoted to writing positive stories about Ed Gillespie and negative ones about Ralph Northam. This is the same organization that was funded by Ed Gillespie and the Republican Governors’ Association, whose LLC is registered to Ray Allen, Eric Cantor’s former consultant who lost the primary to Dave Brat. 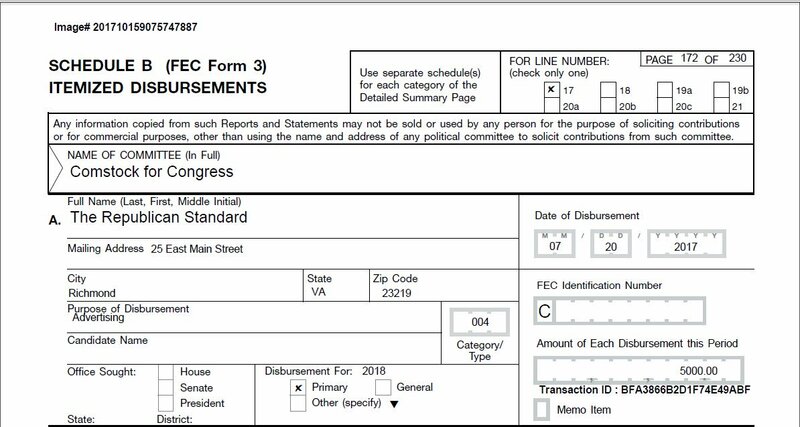 It’s run by Creative Direct, Allen’s mail firm that has collected millions from Republican candidates in Virginia and nationwide. (Fellow Republicans have called Ray Allen a “disaster” for his slash-and-burn tactics, including “advising Cantor to attack, destroy, marginalize, threaten, ridicule, intimidate and run over anyone who even whispers about standing in his way” and being “a counterproductive, parasitic presence in the Virginia GOP”). 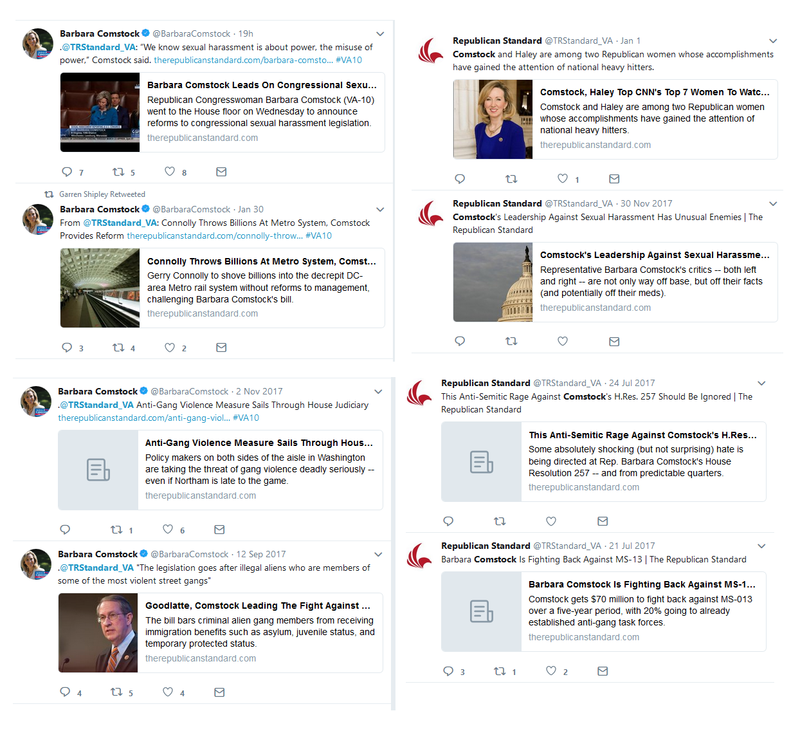 It’s a very convenient source that Comstock can use to promote herself during this campaign year. It’s typical paid propaganda, not surprising behavior from the Republicans. However, one thing that bothers me is the “Manifesto” on The Republican Standard’s website. It says they are “columnists in a digital age” who describe themselves as superior to “mere bloggers” or the “rank amateurism of a mere reporter.” But they’re also being paid by campaigns to report positively on candidates. So which are they? News reporters or just advertisers?